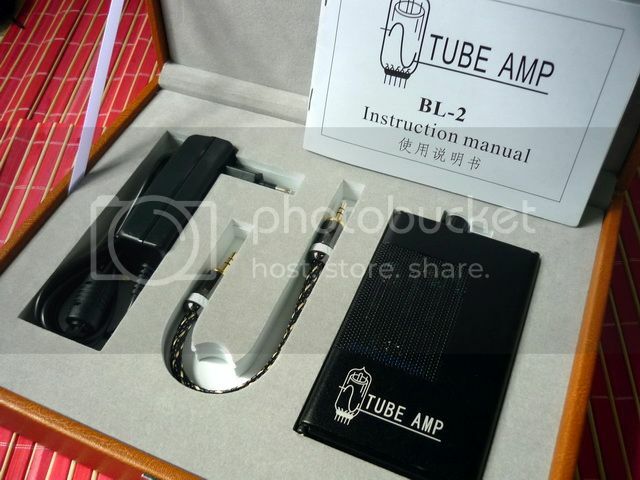 The BL-2 is a little tube amp from a fairly new Chinese amp manufacturer called ‘Tube Amp’. Perhaps not the most ingenious of naming, they do however only focus on portable tube amp. 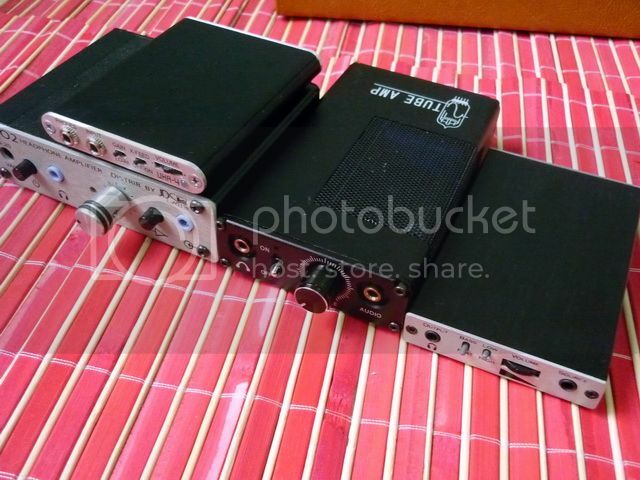 The DIY’er behind the company began his own quest of building a portable tube amp years ago, and has successfully launched a commercial model named BL-1 (with subsequent reversions) even before starting up the company. BL-2 is his latest update and replacement of BL-1. It has a MSRP of RMB2600 in China, roughly equal to US$410. As far as I know, no official international dealer besides a few in Hong Kong and Taiwan for the moment. The discontinued BL-1 on the other hand can still be found on eBay for around $290 with shipping included. 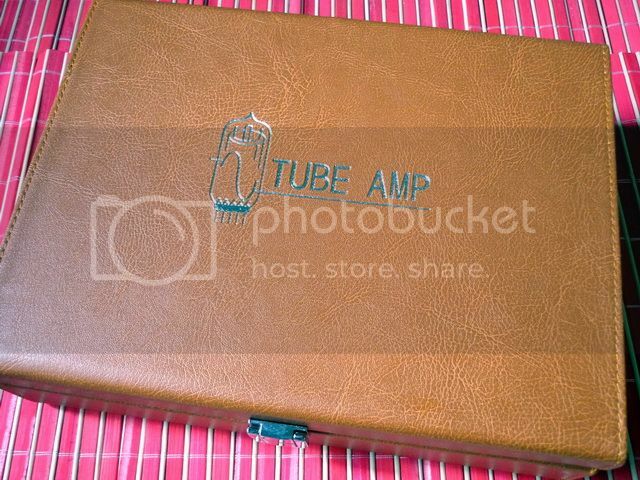 The amp comes with an excellent PU leather box - remind me of HifiMan’s packaging, but a little better. Accessories wise, there are the AC charger and a short 3.5mm interconnecting cable that looks rather good in quality. The design of the amp itself really isn’t something ground breaking. It has a relatively big grill for better air circulation, but otherwise it is similar to other portable tube amp that comes before it. 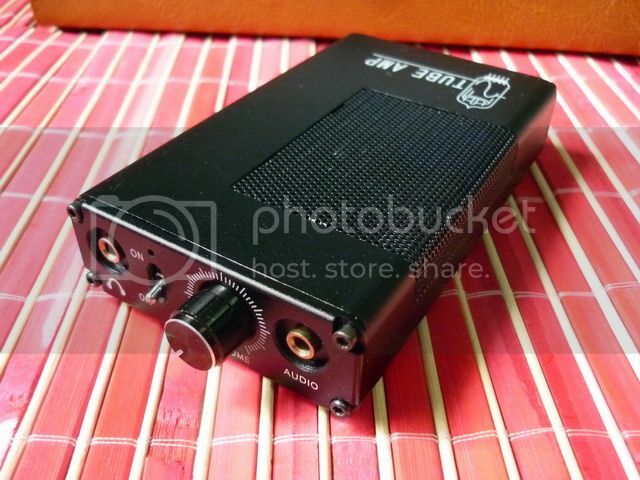 However, the previous model, BL-1, has been in the market for a while now (just not the international market), and BL-2 is based on the rarer 6N16B-Q miniature tubes and not the much more popular 6111 (on portable tube amp application). For those who don’t know, 6N16B-Q is the same tube Little Dot used on its desktop bound, dual tube hybrid ‘Micro Tube’ amp about 6 years ago. While I don’t have a lot of knowledge into electronics, I can tell the BL-2 uses a tube + MOSFET topology rather than the Micro Tube’s tube+opamp design. The amp runs fairly hot in operation, somewhere around 30°C to 40°C (on the housing) and lukewarm to the touch. Infrared thermometer shows that the tube itself is closer to 75°C, which is definitely enough to burn your skin if you touch it directly (if you removed the top cover). That being said, it definitely isn’t a good idea to use this as an actual portable unit attached directly to a DAP or stuff it in the bag with other gears when operating. It will probably serve better in a transportable or home-away rig when traveling around (or even a miniature tube setup around the house). Plus, the battery life isn’t great as well, maxing out around 3.5hours (might go a little longer depends on how you use it). But given how hot the tube goes and the general inefficient of tube amp, that’s to be expected. Recharging is done via the included 13.8V world adapter, generally takes around 1~2 hours in total. The amp’s LED will turn red when charging, but you will have to look for the LED indicator on the charger to know whether the amp is fully charged or not. The Li-ion battery inside has overcharge protection, so you can leave it over night without any problem. Hiss can be noticeable when volume knob is turned over 12 o'clock if you are using very sensitive IEM such as SE530. But as I will later explain in the SQ section, IEM of such sensitivity is not recommended with BL-2. EMI is also noticeable when BL-2 is placed very close a cellphone during call, but it isn't too terrible. Size and weight wise, BL-2 is almost on par with O2, nearing 300g in actual measurement. However, unlike O2 and its heavy housing, half of the BL-2’s weight seems to come from its over-sized Li-ion battery back. Even without the heat issue, I would call this kind of size and weight as semi-portable or transportable. Size comparison: O2, UHA-4, BL-2 and C421. I almost always start my amp review with some basic testing using RMAA, and BL-2 is no exception. Like a lot of tube amp, BL-2 doesn’t have a stellar RMAA result. The overall noise is much more significant (twice as worst, if not more) than any solid state amp I have measured using RMAA under the same 16ohm load. It also shows coloration to the frequency response curve, indicating noticeable impedance interaction. However, the result gets a lot better once I re-measured it again under a 150ohm load. Bass still has some roll off (-3dB @ 20Hz, probably due to too small of output caps) but no more coloration. Maximum gain, as estimated via RMAA, is around 19dB. On separate test, output impedance is calculated to be around 20ohm – much more than your typical solid state amp but somewhat expected in this kind of design. Current output to low impedance load isn’t great as well, which explains why noise is high on the 16ohm RMAA test but gets a lot better with higher impedance load, as the higher the load impedance goes, the less current is needed. All and all, BL-2 is a not for IEM. Well, not for most IEM. It is better suited for 150ohm and beyond – which is more in the realm of full sized headphone. Unfortunately I don’t really have any full sized with that high of an impedance, so my listening is mostly done with ER4S (~100ohm), RE262 (~150ohm) and Lear LCM-5 with the Studio Monitor Sound Tuned Adapter (~180ohm @ 1kHz). The first thing I noticed is the overall cleanness. Having own a desktop hybrid amp myself (the Little Country 2 by FireStone Audio), I am kind of expecting a warmer, richer sound from BL-2 – not that BL-2 doesn’t sound richer than O2 or C421-AD8620, it is still very neutral and clean in the overall presentation. If I wasn’t A/Bing these amps carefully, I would think I could have missed the subtle difference between them. The second thing I noticed is a softer bass impact from BL-2, probably because of the slight bass roll-off. It isn’t bass light per se, but definitely doesn’t go as deep or impactful as it can be. As said, BL-2 does sound just a tad richer in tone, but it isn’t an obvious warmness or forwardness. It just sounds like all the background detail is pulled slightly to the front, filling out the ‘space’ between instruments and vocal. If you played with Photoshop before, it will be the equivalent of making color saturation a little higher, thus making detail more visible to the eye yet doesn’t look unnatural. One aspect of BL-2 I really like is how it renders guitar. Several Kaki King’s guitar tracks that I am very familiar with plays absolutely beautifully over BL-2. Perhaps that’s the reason why many guitarists like tube amp? I don’t know. But I do prefer guitar tracks on BL-2 over O2 or C421-AD8620, that’s for sure. As far as subjective listening is concerned, I’ll place BL-2 among some of the best portable headphone amp I have listened, namely O2, StepDance, C421-AD8620 and UHA-4. I won’t say BL-2 surpasses any of them, but I think it is safe for me to say that they belong to the same category. BL-2 is one of those cases where you get mediocre-to-decent measurement with a good sounding amp. However, as far as I can tell, driving high impedance load seems to avoid most of the issue regarding high output impedance and low current output – and the result can be very rewarding for sure. 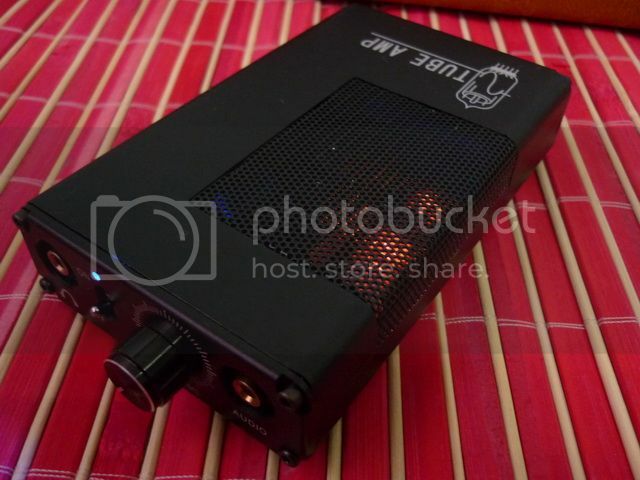 The price tag of BL-2 is quite high, well above most solid state portable amps but still not the most expensive miniature tube based portable amp around. With the rather high price tag, the discussion of value seems very much an oxymoron, so I’ll leave you to decide that factor for yourself. I can only say, subjectively and with the right headphone, BL-2 can sound really good. A big thanks to Tube Amp for the review sample.